Decisions on a Sunday Morning + News! I'm a little late posting this one, but am linking up with Kathy's Slow Sunday Stitching anyway! While unpacking, I've uncovered a lot of WIPs & UFOs. 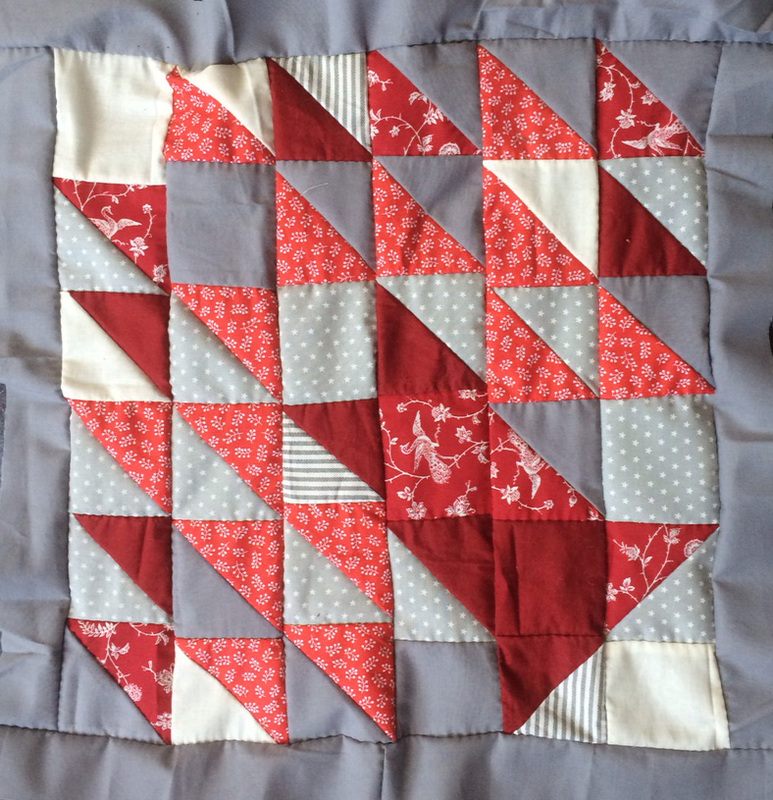 I made this mini quilt ages ago, so long now I can't remember. I do remember it was my first attempt at flying geese with not the best results. All my geese were cropped!! I've never quite gotten over it and haven't made flying geese since. I still liked aspects of this mini, though, so when I found it I decided to back it and quilt it. But now, what to quilt it with? I picked out a few thread choices, but none seem quite right... Any suggestions? I have a lot on my plate at the moment, so I'm not in a great rush to make a decision. Now for the news! Mad Cat Quilts will be having a sale starting next weekend! Just in time for xmas gifts, of course! Look for updates and the start of the sale in the blog and instagram. There will be many small items, as well as sale prices on quilts! Keep your eyes peeled! I had great plans to post more during the past week. Even though my holidays were calm and easy, there never seems to be enough time. I'm trying hard to get one more quilt finished before the new year (but, it looks like it will be just after the new year, at this point). I have also been helping my husband with some projects he's working on. We craft all over the house, but are mostly centered in the living room. This is how our sewing machine table looks most of the time. But often with more cats on it. My husband has a few weeks off and has decided that he wants to create something every day. What a great idea! One of the larger projects he's embarking on is creating his first quilt. He picked out his fabric, and the square he plans on using, but he hates the cutting! Now, I don't use a mat and rotary cutter for my own quilts or projects but I'm happy to cut his pieces for him. His scraps become my pre-cuts! One thing I long for is a big, wooden table and a room to put it. Right now, I cut everything on the floor. 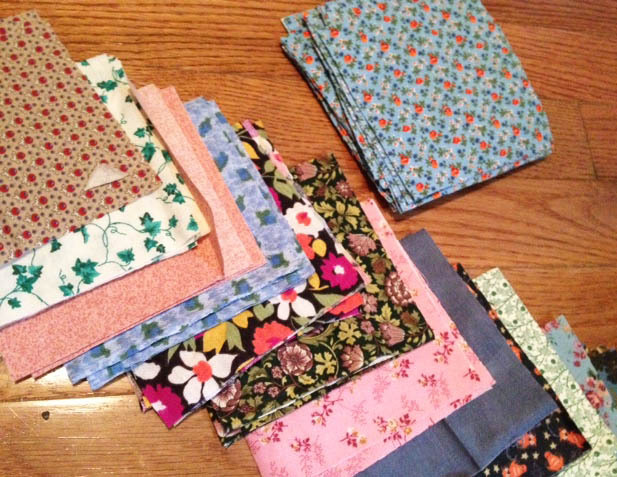 I keep almost every scrap bc I use them a lot in my quilts. But I haven't figured out what to do with these tiny edges. Any thoughts? It's very fun to help and collaborate any way that I can. I try not to interfere with the creative process too much, while still being helpful and encouraging. We have very different taste in color combos. It's always interesting to see what he matches together! I hope everyone had a calm and creative holiday season.